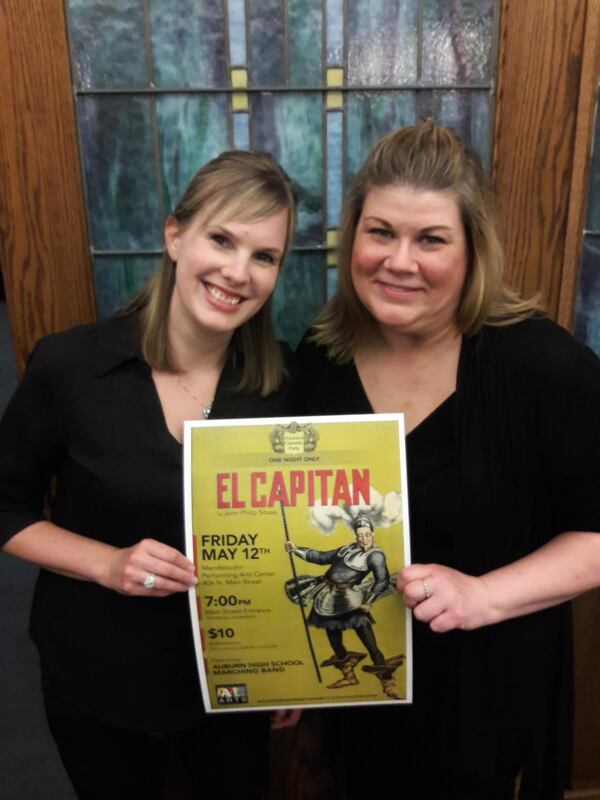 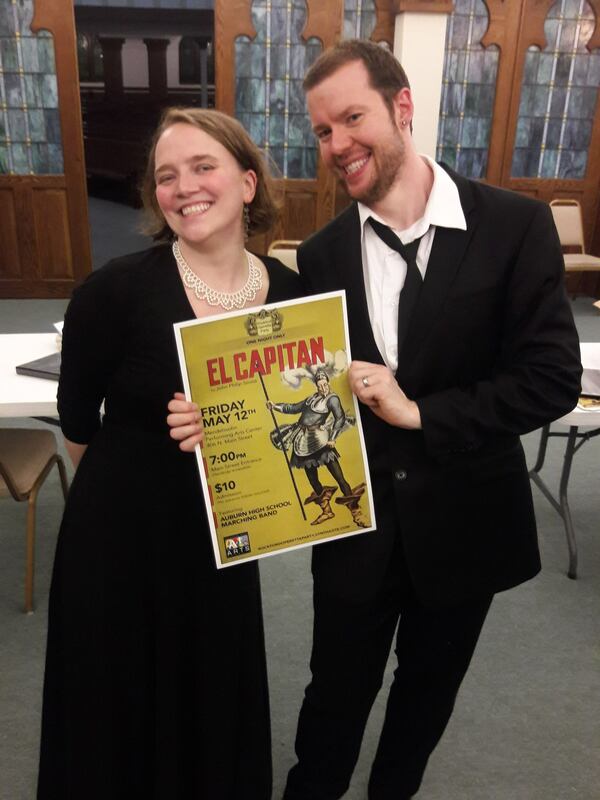 On May 12th, we presented "El Capitan" by Charles Klein, Tom Frost, and John Philip Sousa at the Mendelssohn Performing Arts Center. 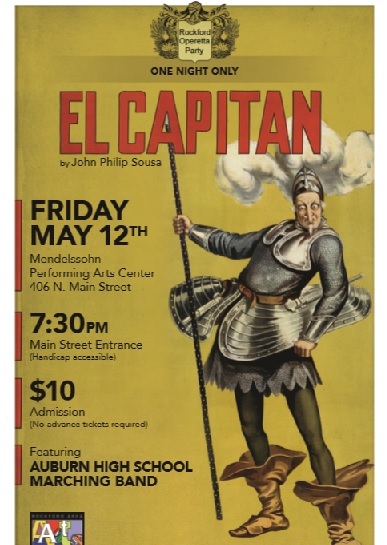 Our programme featured some new singers as well as the Auburn High School Marching Band. 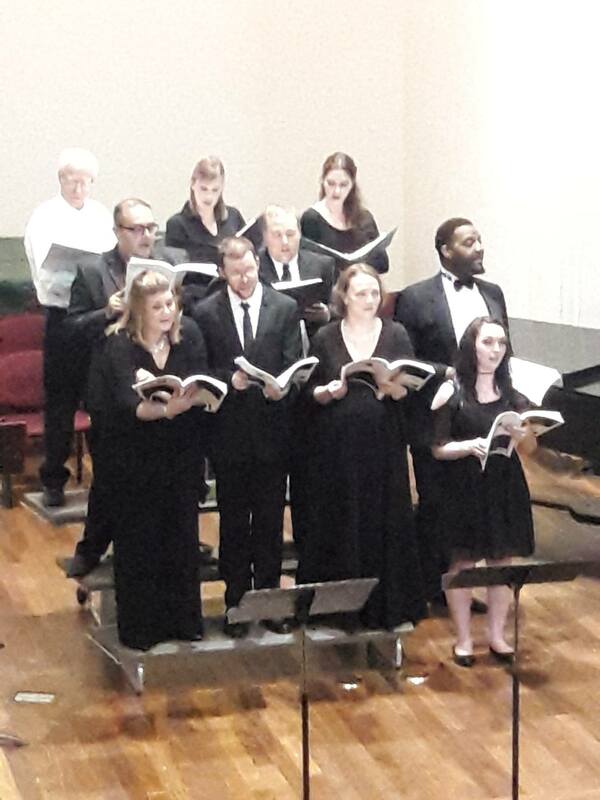 For our Christmas season, we brought back our Nativity programme featuring songs from the Gilbert and Sullivan operas with Christmas words. 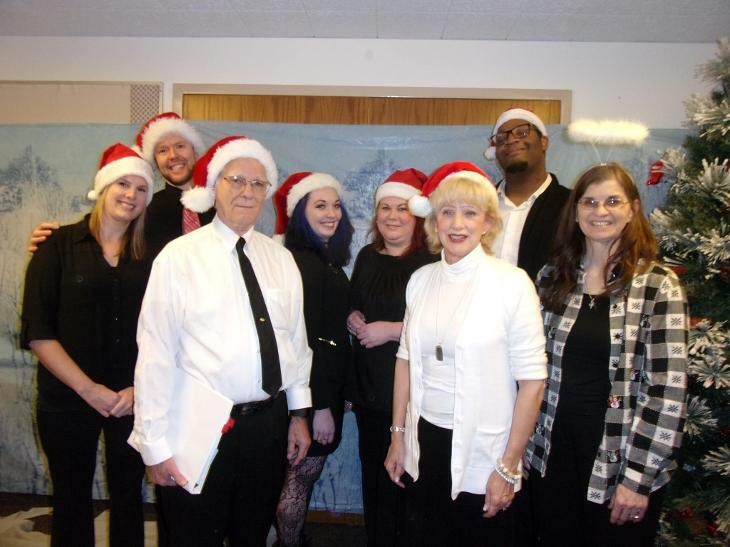 Our performances were for residents in nursing homes in the Rockford area, of which we visited three, as well as the show at the Concert & Nativity Display at the Church of Jesus Christ of Latter-Day Saints on December 1st. 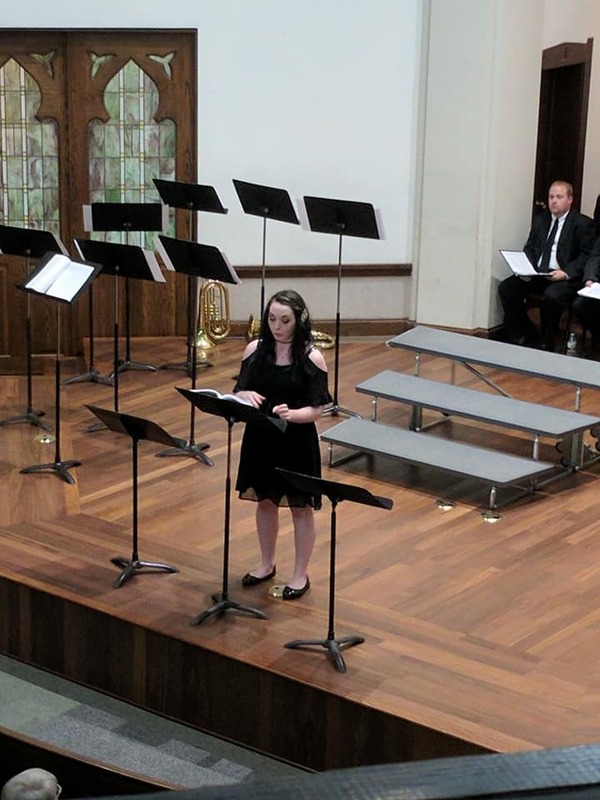 The song list featured several new songs including "The Egg-Nog Brindisi", "I am the Very Model of the Holy Angel Gabriel", and "God Loved Us So".